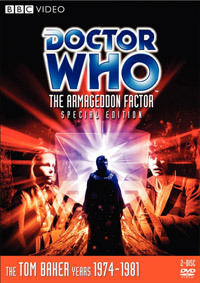 Although not planned as such, The Armageddon Factor became the last six-part serial in Doctor Who’s history. Hence forward no single production would exceed four episodes, or the equivalent 90 minutes of television time. I have watched you and your jackdaw meanderings. I know you, and I know there is a want of patience in your nature. 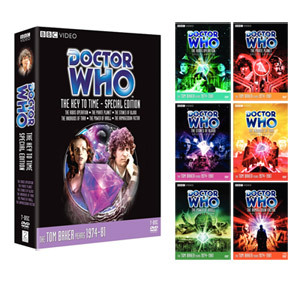 Pursuit of the final segment of the Key to Time takes the Doctor and Romana to an area of space where twin planets, Atrios and Zeos, are engaged in full-scale nuclear war with each other. They land on Atrios and become involved with the mysterious Marshal (John Woodvine) who is intent upon pursuing hostilities to their ultimate conclusion, irrespective of the cost to his people. It becomes apparent the Marshal’s mind is being controlled from elsewhere. 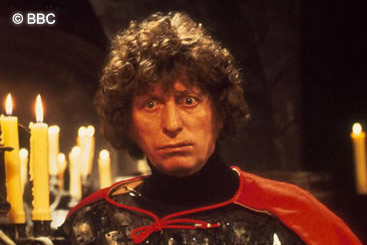 The Doctor suspects they may have been lured into a trap, and this entire war is only a ploy by the Black Guardian to seize the segments of the Key. 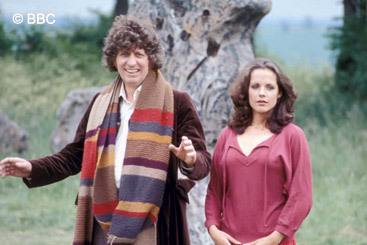 The whereabouts of the sixth segment seem connected to the Atrian royal princess, Astra (Lalla Ward), and when she is kidnapped by Zeon agents and transported to their planet, the Doctor, Romana and K-9 follow. Incensed that his war plans might be compromised the Marshal musters his remaining fleet of nuclear-armed ships for a final attack. But if this happens, the Zeon master battle computer is programmed to destroy itself, both planets and everything in between with a doomsday device. 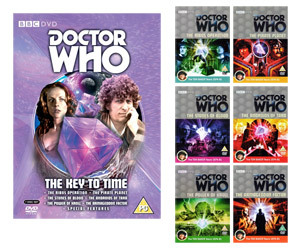 Using the partially assembled Key the Doctor creates a temporary time loop that suspends the Marshal’s fleet and the Zeon computer’s countdown, but to make the loop permanent he needs the whole Key. A moral dilemma confronts him as the sixth segment turns out to be a human being, Princess Astra. She must lose her life for his plan to succeed. 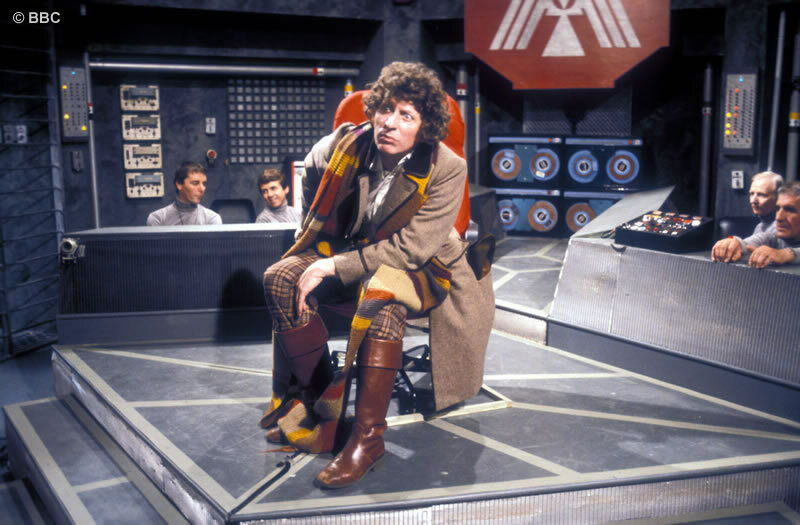 The decision is taken for him when a Black Guardian agent, the Shadow (William Squire), puts the Princess in contact with the near-completed key and she transforms into its missing component. 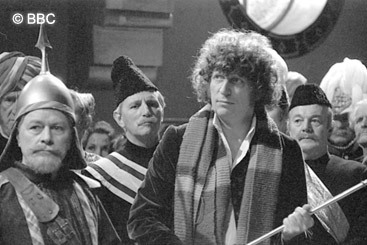 Snatching the key and taking it aboard his TARDIS, the Doctor is greeted by the White Guardian who asks for the prize. 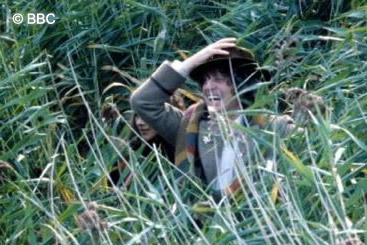 Suspecting this might actually be the Black Guardian in disguise, the Doctor commands all of the segments to scatter again, beyond the reach of either Guardian. The only exception is segment six which he wills be changed back into the Princess. Freed from manipulation by the Shadow, Zeons and Atrians can now start brokering a peace deal. The Universe too will have to balance itself between harmony and chaos without the omnipotent influence of either Guardian. 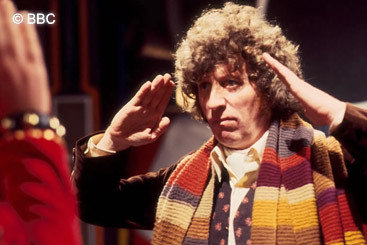 Wary that the Black Guardian might seek revenge upon him, the Doctor fits a randomiser to the TARDIS controls so that no-one can predict where it will land.